Struggling to get things done on time? Does time seem to run away from you all the time? Have you ever wondered how others seem to accomplish so much in the same amount of time? In this straightforward, cut-to-the-chase ebook, we give you simple, yet effective strategies to follow in order to take back control of your life. How Do You Know You Need Help with Time Management? Can Improved Time Management Really Help You? 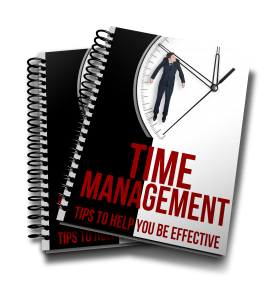 Get more done in less time with ‘Time Management – Tips to Help You Be Effective‘. Download on your Kindle now!